Do you want to get where every day is an adventure in the Kingdom? We know trouble is coming, but our God got us ready for whatever comes our way. 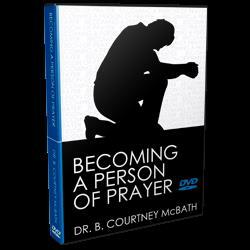 Find out how you can become a person of prayer with this powerful 4-part series. Watch uploaded videos from voice-of-revival on FREE video sharing website GodTube.com! You can search and watch family safe Christian, music, inspirational, cute, funny, comedy, educational and Spanish videos on GodTube.com! Do you have some great video clips you would like to share? It's easy, simply create a FREE account, then start uploading videos to your own personalized video channel!